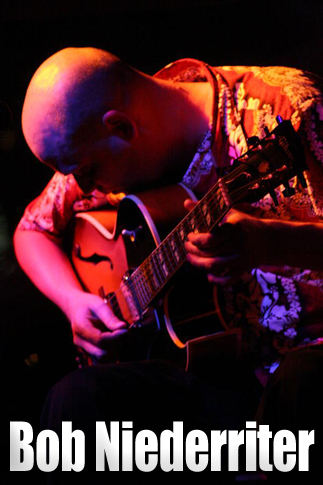 Bob is a jazz artist, a composer, guitarist and arranger. During his career he has studied and performed with great artists in jazz and modern classical music. All for the purpose of achieving excellence in his pursuit of music. At the same time searching and finding inspiration and instruction from masters of music. During the course of his life Bob has pursued multiple art forms. His other artistic accomplishments include being a glass blower, painter, cook and gardener. He is an accomplished artist in many disciplines. Bob was born in Cleveland, Ohio. His bio states that he "was exposed to music at an early age . Both of his grandmothers played piano , and he began to find his way around the instrument as soon as he could climb aboard . He began to actually play piano under his great grandmother's tutelage , but soon graduated to a home made guitar which his father helped to fashion from a cigar box and fishing line . Reflecting back on this first guitar, Niederriter notes that without any instruction he tuned the instrument in 4ths . He also studied the violin, and while he found the lessons too constrictive he did maintain interest long enough to learn to read music". Bob attended Kent State University, studying with renowned glass artist Henry Halem and also with painters Craig Lucas and Robert Culley . His bio indicates that he "developed an interest in creating panels and mediums for his paintings, creating his own egg tempura as well as more modern paints. Not coincidentally, his acuity in mixing mediums is mirrored in his passion for establishing texture and color in composing and arranging music" . "Despite his diversity of interests , however, his approach to music is based upon an embrace of a fundamental modern jazz tradition. As a Guitarist he cites the dominant influence of Wes Montgomery on his thumb technique , his tone and his compositional style. He also points to the seminal recordings of Charlie Christian and Barney Kessel as having had an important impact on his playing. As a guitarist he has also been strengthened through study with masters such as Jimmy Rainey, Cal Collins, Jack Wilkins, Herb Ellis and Jim Hall, whom he cites as a significant influence in the development of his understanding of harmony in composition. Niederriter is also quick to stress the impact of Cleveland guitarist Ralph Russo, whom he credits with teaching him about the guitar neck as well as arranging for the instrument. It was under Russo's tutelage that Niederriter first took tunes from the Real Book and created arrangements for the guitar". 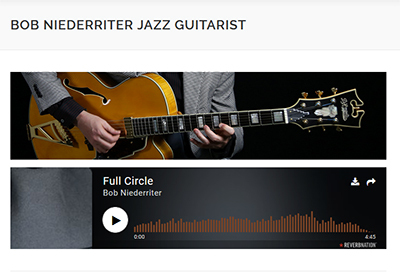 "As a guitar stylist , Niederriter has shunned the temptations of gratuitous speed and technique for a more considered and mature approach , particularly with respect to soloing. His lines are thoughtfully conceived and cleanly executed statements which are more reflective of melodic acuity than empty dexterity. 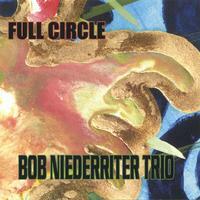 With respect to chording and texture , one hears in Niederriter's playing the influence of Farlow and Montgomery". "Niederriter's most deeply felt musical impulses, however, are expressed in his composing and arranging . He has absorbed the music of the modern jazz masters , most notably Charlie Parker , whose music became an obsession for Niederriter, and Thelonius Monk , whose dissonances and use of space and distended rhythm captivated him. And he has studied with some of the great minds in the music-both at the New School for Social Research in New York City where he earned a Bachelor of Fine Arts degree, and through his own initiative". "At the New School he studied and played under Ed Neumeister and Bill Kirschner as well as Reggie Workman, Junior Mance, Arnie Lawrence and Jim Hall. It was a phenomenally rich enviornment within which to work and learn, and the experience had a defining impact on Niederriter's approach to jazz performance and composition. While in New York he composed jazz music for double quartet (jazz and strings) as well as jazz septet and big band". "Since leaving the New School Niederriter has continued to compose and perform, recently completing his first recording and performing regularly in Cleveland with drummer Greg Bandy. The recording features and organ trio with Greg Bandy and organist Oliver Von Essen joining Niederriter in performing original compositions as well as jazz standards. It is also revealing in its diversity and consistency. Niederriter explores an ambitious array of composers, rhythms and styles, but manages to keep the music swinging and songful throughout". "Of course, like most creative artists, he has many more projects "in the can" and ready to move into production. As a guitarist, composer and arranger, Bob Niederriter has only begun to scratch the surface of his talent and his music". Bob Niederriter on 'Words and Music'. from Bob Niederriter on Vimeo. DCB: You spoke of aging musicians sharing their special talents, like Ralph Russo, who you studied with. What Ralph Russo talents were you able to master and will you keep the craft alive by passing on the knowledge he bestowed on you? Also, after listening to your interview on Crooked River Groove I did a search for guitarist Ralph Russo. There is almost nothing about him to be found on the Internet. There is your reference and one other. There a few CDs that list him as guitarist on the tracks. That's it. For the record, how did you hear of him? What did he pass on to you through his instruction? Bob: In the Cleveland area Ralph was well known by the guitarists . Many of the best in the area took lessons from Ralph. I took two lessons a week from him for five years . The focus of our study was guitar arranging and many different techniques . Over time we covered a vast amount of guitar info , including set up and truss rod adjusting for arch top Gibson guitars . There were rumors amongst some of the students that Ralph had worked under different names. I don't know if any of that is true . I have been around many of the greatest players and Ralph was one of the best guitar arrangers I have seen . I always thought the best solo guitarists were Joe Pass and Tal Farlow. Ralph was a little more like Van Epps , all great ! I could never teach as well as Ralph. He said I was more of a player then a teacher. I think he was right . He was quiet and put his energy into his teaching. I have taught some but not much anymore . If I could find the right students it would be great . I don't think there are too many kids out there that want to or have the focus and discipline to be jazz guitarists. It is very hard to make a living doing this, there aren't enough gigs to go around . It is costly and time consuming to learn . Club owners are quick to have a juke box or even worse a dj in place of real musicians. DCB: On the DVD Crooked River Groove music videos, who are the musicians accompanying you on the tracks? Bob: The band on my video is Marty Block-Bass, Val Kent-Drums and Andy Michalec-Piano .